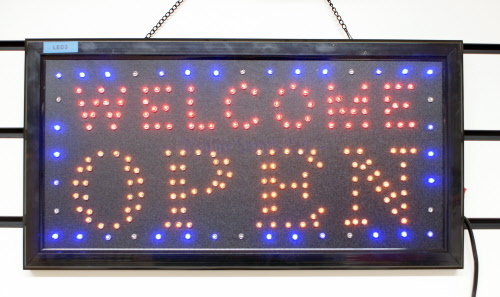 LED Welcome Open Sign makes the perfect window or door sign, great for any shop that is looking to entice more passing customers. What sets this apart from other signs on the market is the high quality LED’s, with a lifespan of 100,000 hours and ultra-bright lighting that is clearly visible day and night. 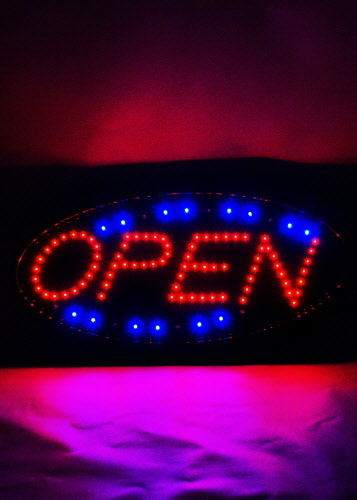 The text on this sign reads " Welcome Open"